Last week Turisas was forced to postpone the 7-date tour in Spain and Portugal until November. This was a hard blow to us, as we were expecting the return to Iberian peninsula as much as all our fans. However, we are happy to now announce the new tour dates: this tour will happen on 22 – 27 November 2011. Ticket holders for the May Barcelona, Madrid and A Coruna shows can either present them at the new November shows for the relevant venue, where they will remain valid, or get a refund from their point of purchase. Despite our best efforts, unfortunately it has not been possible to reschedule the Pamplona and Granada shows for November – there were simply not enough days in the time we had available to fit everything in. Our sincere apologies go out to those who had already bought tickets for these two shows, and you can get refunds from your point of purchase. 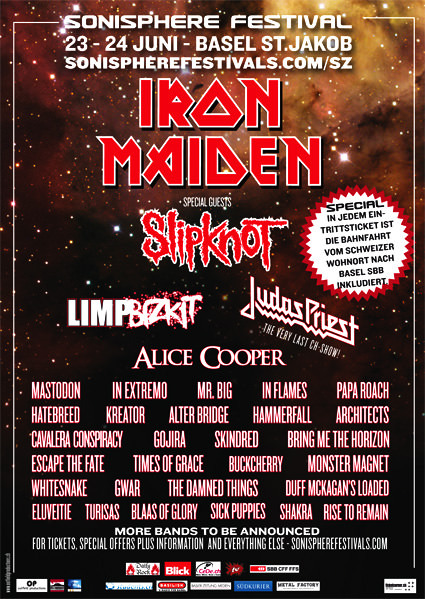 Anyway, no worries, we will still play in Spain already before November: TURISAS are confirmed to play at Creajoven Festival, Murcia (ES) on 17 June 2011. More info at http://madnesslive.es/2011/04/artista-invitado-final-creajoven-metal/ This show is FREE, so make sure you arrive early and secure your place in the front row. See you there! Due to unforeseen technical problems, TURISAS are sad to confirm that they have had to postpone their forthcoming dates in SPAIN and PORTUGAL. We are working with the local promoters right now to reschedule these shows in November 2011. The shows are NOT cancelled and current ticket holders will be able to use their tickets for the rescheduled shows. We are hoping to announce the new schedule in the next 48 hours. Our sincere apologies to all those who have already bought tickets and were looking forward to the shows – we are definitely still coming, just not as soon as we had hoped. As some consolation, we can tell that Turisas will be coming to Spain for a one-off special event in June – more details very soon. Time for some Street Team action! Retweet the pics in Twitter, post them in Facebook, email to your friends and come to the shows yourself – let’s have a proper party!